All my journalist colleagues I met the day before told me to expect the worst. That they'd ridden or tested the new UMs and that they were low quality hacks and that, "I shouldn't trust them". That ranks as the least optimistic preview of any motorcycle I've ever received. So on the gloomy Saturday morning when the bikes were to show up, I was excited. I've understood that fundamentally motorcycles excite me and I refuse to make exceptions to this excitement before I've tested them. The UM Renegade line is made up of cruisers. They're all slightly disproportionate with a sense of chunky masses thrown on to a reasonable sized wheelbase that doesn't quite resolve into a classy cruiser. The effusive and elaborate branding and logos don't really help. The cruisers are powered by a range of engines displacing between 150 and 280cc. UM India is starting from the top. UM is based out of Miami in the United States. They manufacture out of China and the R&D function is handled out of Miami according to the company. In India, they have a tie-up with Lohia Auto. These Indian UMs are made in Uttarakhand with 70 per cent local content. 30 per cent, including engines comes from China. The UM Renegade Sport S is brand new. OVERDRIVE broke the story from Milan last year where a rough and tumble prototype was on display. The finished model, thankfully is better. The dominant visual is the headlight fairing that slopes back dramatically. In this orange and black colourway, it looks, er, prominent. The tank's lines are a bit anonymous and aft of that lies a heavily designed side panel. Under the tank is a plastic extension in matte black that holds a strip of LEDs on each side that UM markets (not inaccurately) as a way to improve visibility. The tailpiece is reasonably restrained ending in a large tail light. The seat is a two piece with a sissy bar. The Intruder reference is inescapable thanks to the fairing but the Sport S is far from a pretty motorcycle. But the reason for that isn't the styling as much as it is execution and finish levels. We are used to excellent build and finish and the UM isn't in the same league. The plastic quality, panel fit, paint gloss... Oh boy. The UM Renegade Sport S is powered by a 279.5cc single that gets liquid-cooling, a four valve head and a six-speed gearbox. I'm surprised that the engine is fed by a carburettor. It makes me wonder if UM simply ran out of time to homologate the fuel injected version or there was a price target for UM's launch at play. The engine makes 25PS and pushes 172kg. It was never destined to be greased lightning. But the engine is peppy on the initial and there appears to be reasonable grunt. Until you note that you're at 110kmph running out of puff and awash in vibration. 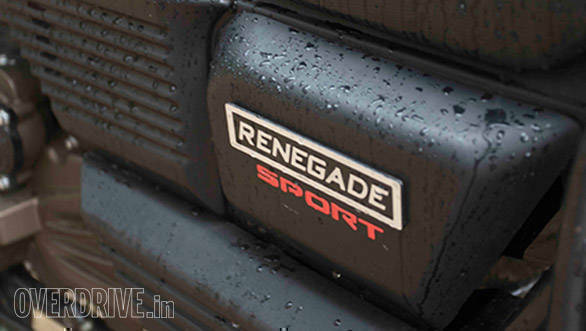 The Renegade Sport S is reasonably vibe-free to 80kmph but refinement is far from the norm. I pushed the engine to about 130kmph and it told me that there is vibration but it is possible. The big question remains reliability and that's a question UM will have to demonstrate an answer to over time. 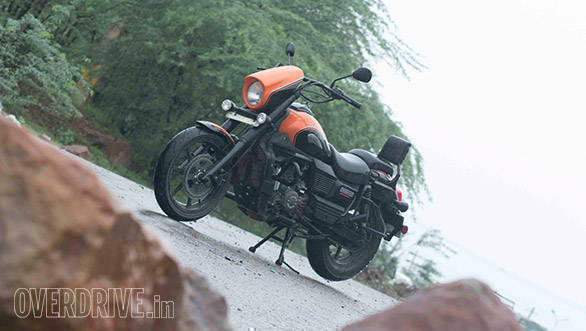 The UM 279cc engine comes to India from China and its vintage is unknown. But while its NVH levels could be vastly better and performance is adequate, I suspect that if it proves reliable - and word of mouth spreads - the sticker tag will bring buyers. The UM Renegade Sport S cannot afford sophisticated suspension. And that's how it feels to ride. Good road ride is all right. Bad road ride will transmit many shocks and big ones will have you out of the seat. The handling is a bit better. It was hard to push on wet, unknown roads. But my efforts revealed that the TVS Tyres' tubeless hoops stick well enough in 110kmph soaking wet sweepers and that a steady hand produces adequate direction changes. The brakes were sharp and I would have liked a lot more feel. This is isn't an eye-opener and it isn't the most comfortable motorcycle I've tested but I want to see more of this motorcycle at a road test. 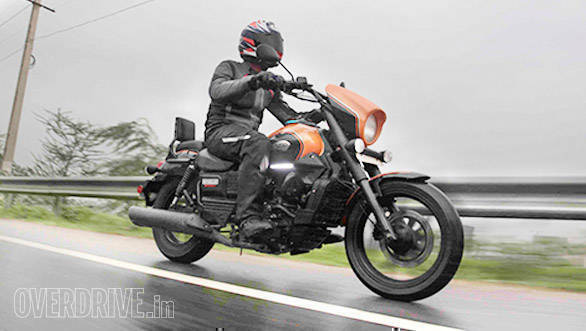 I suspect that like many other aspects, the motorcycle might not meet the requirements of riders like us who've had our expectations set high by the continuum of excellent Indian motorcycles. But fundamentally, the target audience may not see this level of performance in their use cycle and it won't matter to them. The UM adds side LEDs to improve visibility. This is a gimmicky feature but the logic is right. I don't personally like side illumination on the motorcycle but I get what the LEDs will do for visibility. All bikes get USB ports and this one's sits under a rubber cap on the side of the single pod speedo. A small LCD screen on the speedo shows gear position and basic information. 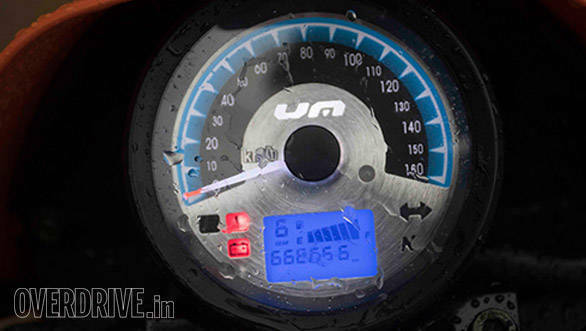 The speedo itself has a tiny font and it can be hard to read the speed you're going at until you learn that 60kmph in vertical and 100 is past 2 o'clock - after which a quick glance gives you a good estimate of speed. The switchgear is functional but the design could be better. The indicator switch proved reluctant and the push-cancel button is so small that a gloved hand might have trouble finding it. This is a difficult motorcycle to wrap your head around. Personally, I wouldn't ever buy one. Cheap isn't my flavour of motorcycling and the UM oozes this. You never quite escape the sense of riding an inexpensive motorcycle. Unlike my colleagues, however, I don't have a problem with the idea of a cheap motorcycle. On that front I find the Rs 1.49 lakh ex-Delhi price attractive. It matches the expectation that the quality and feel of the motorcycle sets. The perspective changes drastically when you consider the Mahindra Mojo which isn't very different in spec and only slightly more expensive. When you factor in the robustly made Mahindra, the UM Renegade Sport S appears to be a lot worse value for its price. But I'm going to give UM the benefit of the doubt and save the Mojo comparison for when the test bike comes. UM has a lot of ground to cover. But two issues are critical. First, UM has to figure out if cheap-cheerful is a flavour India likes in its motorcycles. The previous Chinese manufacturers who've tried it haven't made any significant headway. 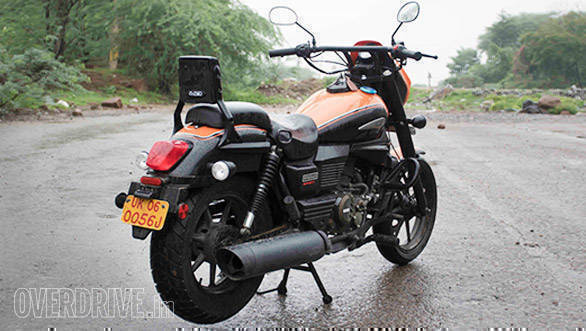 Second, build quality and finish needs to improve by miles if the motorcycles are to be seen as credible products. Product prices are sure to escalate if quality has to improve. The UM Renegade Sport S is clearly far, far from a persuasive motorcycle on many counts. But this is a dramatic experiment that could have surprising results. Stay tuned for our detailed road test. I also got to ride the Commando which takes a military cruiser approach while based exactly on the same platform as the Renegade Sport S. In as much, it felt similar to ride - good low end grunt, then lots of vibration and noticeably good performance from the tubeless TVS tyres. 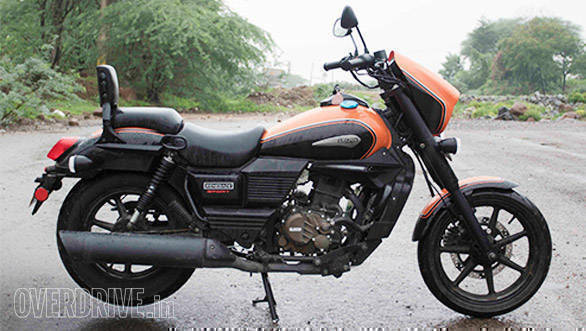 The UM Renegade Commando is priced Rs 10,000 higher than the Sport S and I'm not sure what the premium is for. But the Commando does have slightly better build thanks to fewer panels. Unfortunately it also has notably worse finish, which sort of evens it out.